The Sender unit features a video output for local monitoring of the source. USB, RS-232, 2-way IR, and audio can be routed independently** between any Sender^nbsp∧nbsp^Receiver unit, allowing end-users to control any of the sources and the displays within their network. 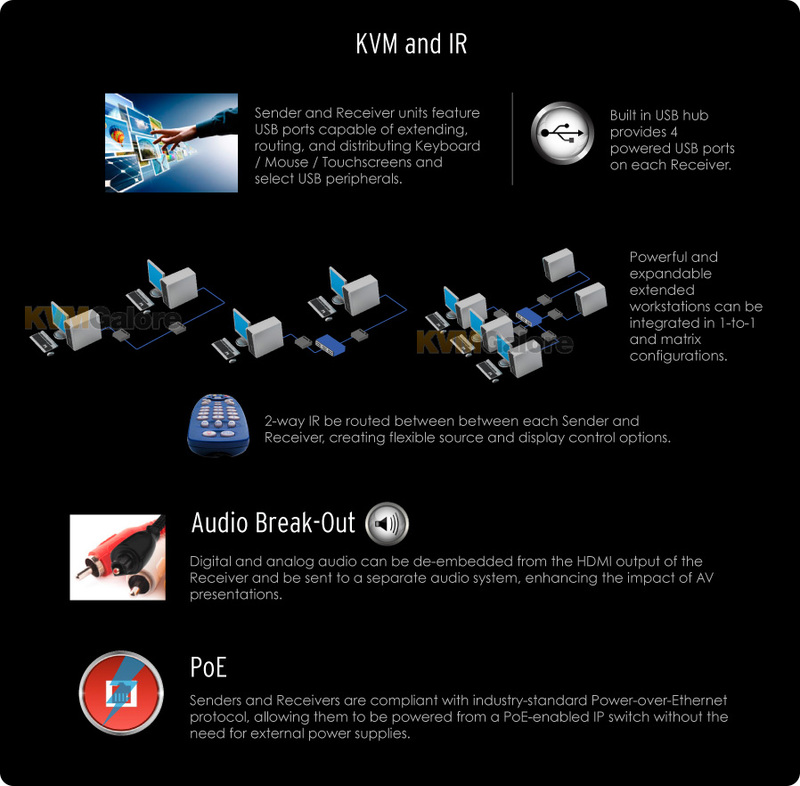 With this greatly expanded array of cutting-edge features and performance, Gefen AV over IP products fully address the ever-growing needs of systems integrators. Power-over-Ethernet allows the Sender^nbsp∧nbsp^Receiver units to be powered through a standard PoE-enabled IP network switch, without the need for external power supplies. 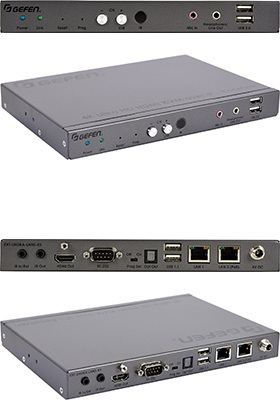 The Gefen Gen 2.0 AV over IP products have been specifically designed for use with Gefen Syner-G™ software. Gefen Syner-G™ Discovery^nbsp∧nbsp^Show-Me features greatly simplify initial IP configuration. Sender^nbsp∧nbsp^Receiver can be used as KVM extenders in a one-to-one system, or as nodes in a virtual matrix environment where any source can be routed to any or all displays, supporting up to 39,900 Senders and a combination of over 65,000 units.